Aged care operator Arvida Group’s mission is to challenge itself to make its residents’ lives better with everything they do. This philosophy carries on in to the company’s design and development principals. Inspired by the performance standards set by the worldwide living building challenge, Arvida Group has created a development which is regenerative for both the local community and the local environment. Living Well Park Lane is a new 79-unit apartment development at Arvida’s existing Park Lane Retirement Village at Tower Junction. All facets of the design and their impact on the lives of Living Well Park Lane residents were carefully considered. Arvida Group looked at the materials, whether they were locally sourced, considered their environmental impact, and how their characteristics would enhance living environments. Arvida Group also looked at the community aspects, including creating inter-generational interaction with the greater community. 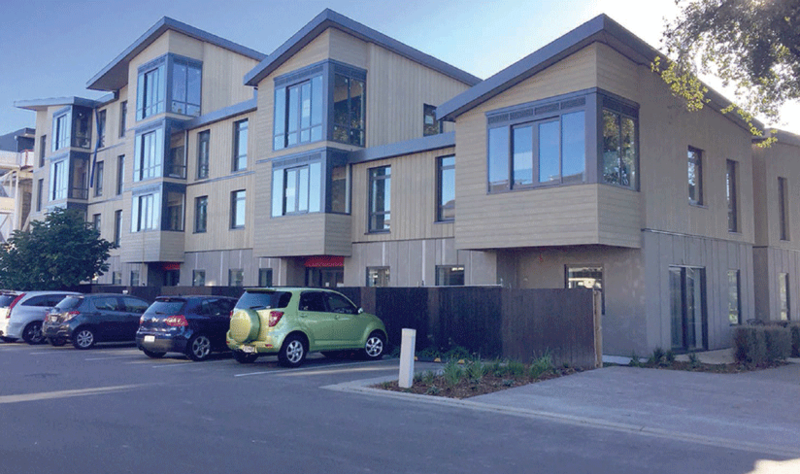 Arvida Group partnered with leading New Zealand architectural ﬁrm Jasmax to design the buildings and wider community. “Jasmax shares the vision with Arvida Group and the result has created a product unseen in the market today,” says Arvida southern project manager Shane Mickell. Visually appealing and naturally warm, the new apartments capture the sun and utilise environmentally friendly, natural, and locally sourced materials. These, combined with the unique design layout, roof lines, and cladding, deliver new levels of thermal comfort and energy saving. Each apartment is ﬁtted with solar panels and the latest high spec double glazing. Arvida Group has also put a lot of effort into Living Well Park Lane’s external areas. “We’re breaking the mould of traditional retirement living and we’re building a village community that offers great ways to stay engaged,” Shane says. “We’ll have a gardener to help us grow our own fresh produce in our raised garden beds and glass house and have regular market days on the village lawns to help us share and sell it. Living Well Park Lane has been designed for those looking for the very best in independent retirement living. “At Arvida Group we believe living a full and satisfying life post-retirement is key to living healthier, happier and longer. The philosophy behind Living Well is that life shouldn’t stop when you retire – it should get even better,” he says. 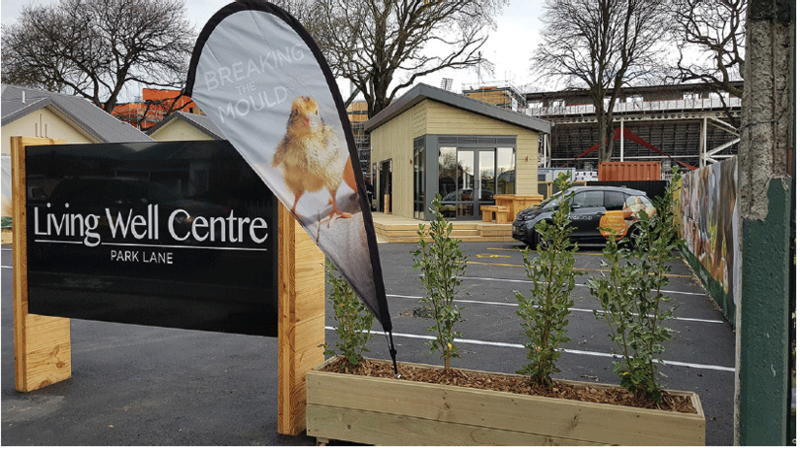 “Living Well Park Lane will include a community centre for both the public and residents, complete with a cafe that sources produce from the village’s communal gardens, a community crèche, a health club and animals including chickens and lambs. Shane says the Living Building Challenge inspired Arvida with its sustainability aspect, but also because the environments it creates for the for the users and occupiers of the building are healthy environments. “We believe there are beneﬁts of that for our clients,” he says. “With Park Lane we have been conscious of energy efﬁciency in the village, using solar energy to power the main building complex and even offering electric cars for resident use. The Living Well Park Lane development includes living spaces that are energy efficient and environmentally sound, a design which visualises the ideal for the built environment, and a village that provides excellent value with both spatial and energy efficiency. Living Well Park Lane has been designed for those looking for the very best in independent retirement living, and Arvida Group sees the Living Building Challenge as helping immensely with such a unique build. “It has led us to the use of wood as the primary building material, which is not often done in this scale of development,” Shane says. “There is now more interest in the market for timber construction, especially in the commercial building space for high rise buildings and ofﬁces. The project has been challenging, but with smart design around efﬁciency of ﬂoor spaces, Arvida has made the numbers stack up. Living Well Park Lane has received a lot of interest from the public.